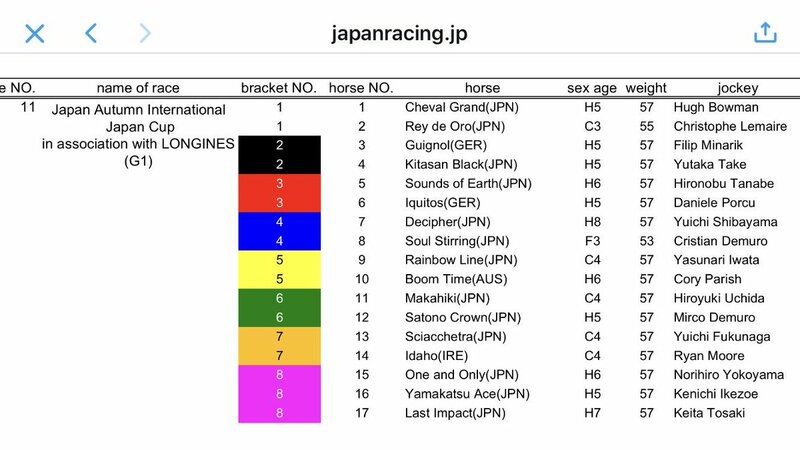 The Japan Cup is run over 2400m on turf on a left-handed track. The race starts from the homestretch, about 300m from the winning post. The first 440m run to the first turn is flat, leading into the backstretch. After traveling 1100m, there is a gentle slope of 1.8m (0.23%) going down from 780m. From this point, there is a sharp rise of 1.2m (2%) for 60m, and after running flat for 80m, just before the third turn, there is another slope of 2.2m (0.64%) going down for 260m. Leading into the final 525m homestretch, there is a gradual rise of 30cm (0.3%) for 100m and a steady uphill of 2m (1.7%) for 120m, with a flat final 300m remaining to the winning post. 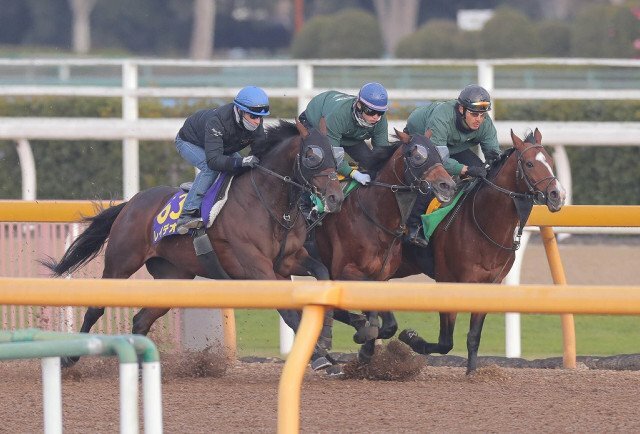 Looks like a race between Kiatasan Black and Rey de Oro on paper. 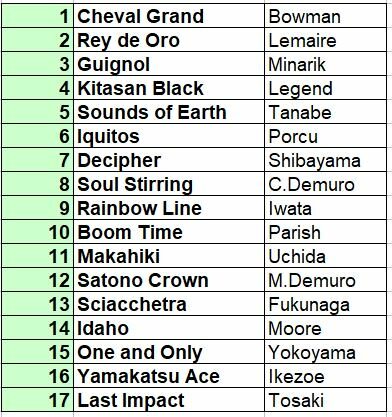 Followed by Satono Crown and maaaybe Guignol (although his times aren't that good on paper). 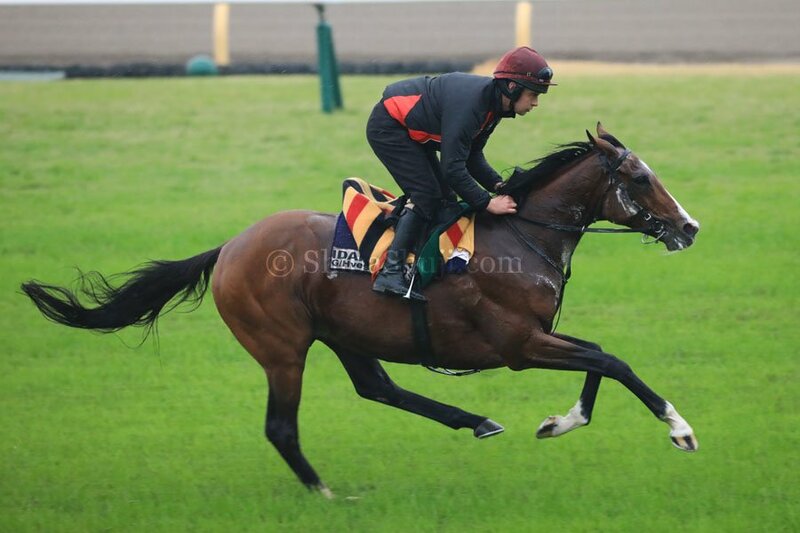 And if Idaho finds back to his form in June he is one to keep an eye out. 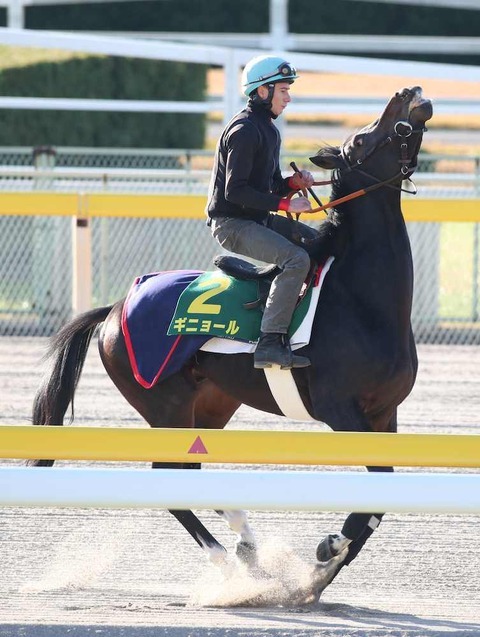 Would love to see Soul Stirring take this one, but I think the distance/competition is too much for her. Iquitos is just... slower than Guignol and seems more suited for soft/yielding courses. If it's raining a lot I wouldn't count him out either. I'm really looking forward to this race! 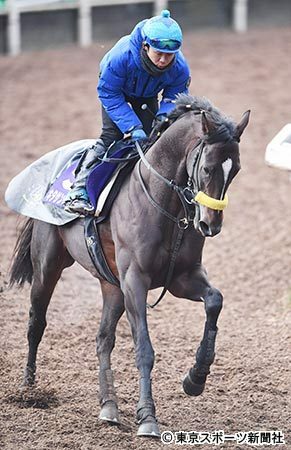 Gotta go with Mr Black, although you have to wonder how many big races in a row one horse can take... but he *looks* fantastic. 83.2 home in a slick 11.8 and impressed the locals. 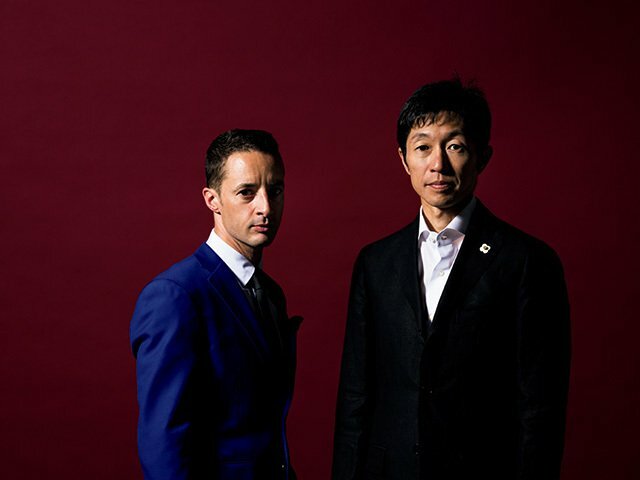 There haven't been many photos of him up since his arrival in Japan, but this certainly a nice one. Super excited for this year's edition. Of course the locals look outstanding, but also excited to see quality horses shipping in from Germany and Australia. 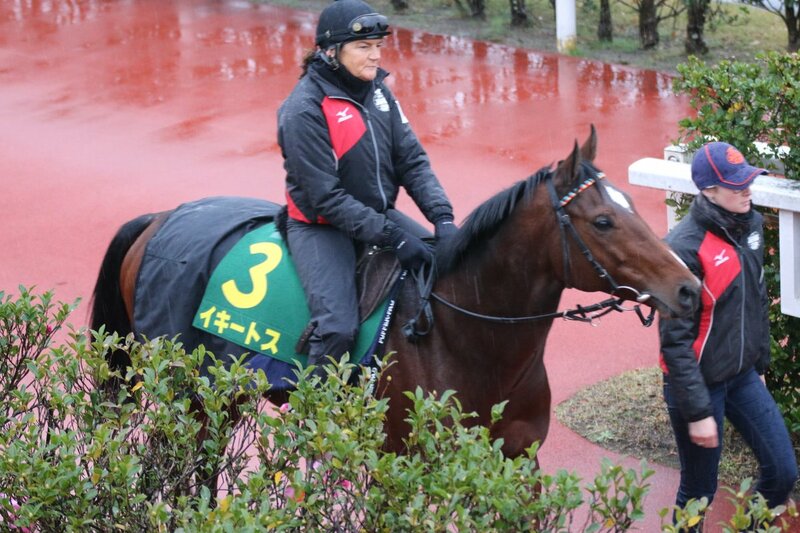 Idaho at morning trackwork for Japan Cup at the Tokyo Racecourse. 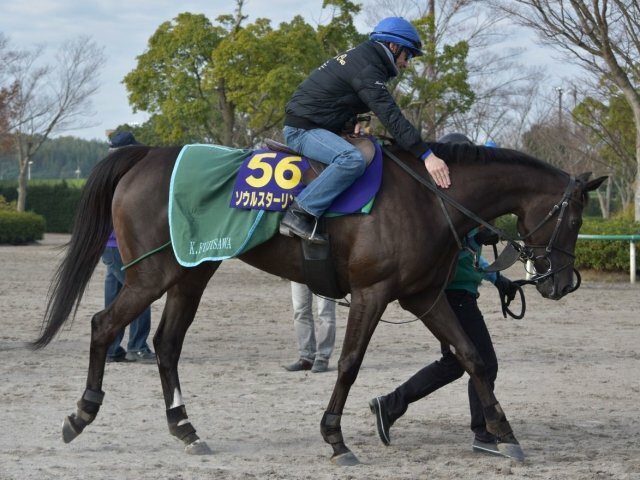 Lemaire has been riding very well, so his presence on Rey de Oro is a plus for me. I'm really rooting for KB, but this is a stacked field. I wouldn't be surprised to see any one of six or seven entrants take this race. 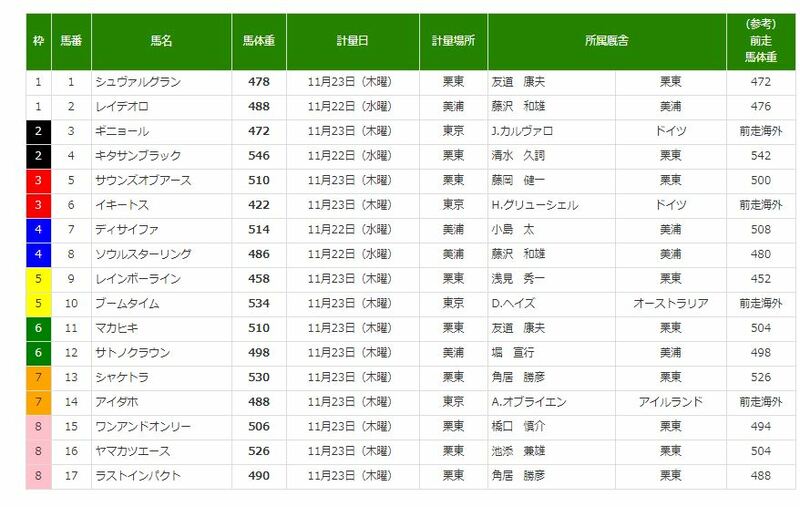 I am guessing that that barrier draw screencap came from a fan site, as everyone's last name is listed, except Yutaka Take, aka "Legend". The title does fit him, though! 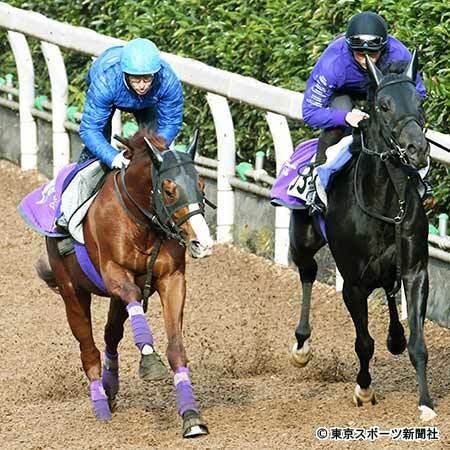 And pre-race media seems to be focusing on Rey de Oro vs Kitasan Black / Lemaire vs Take showdown, definitely. 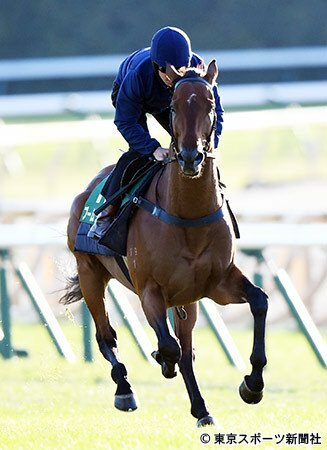 Meanwhile, Cheval Grand will have Hugh Bowman (Aus) on board & has reportedly been training very well... could sneak in with a chance... *if* he can overcome the inside post??? 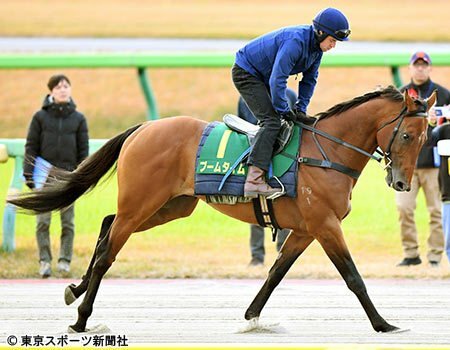 The Japanese horses are all so lean, with a greyhound look. But Makahiki takes that to the extreme, with his really deep shoulder/chest tapering up to a wasp waist. Sciacchetra has matured very nicely, too, now he's a four-year-old. So excited for this race, on paper it's so competitive with so many of them having a legit shot at winning. Can't wait! !